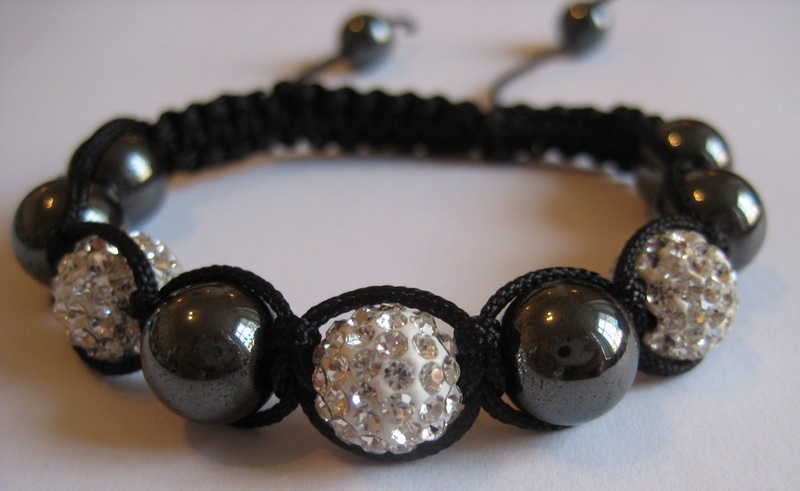 Update: Find how to make these bracelets here! I realise I haven’t posted anything new for a few days. It’s not because I’ve been slacking, it’s just because I have started on two projects, both of which are going to take a bit longer to complete due to the size or lack of all the materials I need! I’ve been thinking about trying my hand at some jewellery projects, but most of the things I want to try will require me to purchase a few tools and other bits and pieces, so I’ve been umming and ahhing a bit. 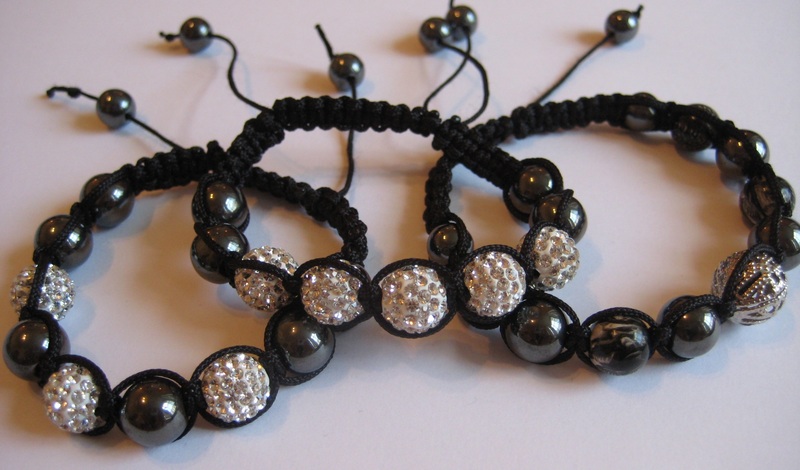 But I saw these bracelets (which are hand tied) and thought I’d give them a try as all I had to buy was the beads. I’ve had them on my to-do list for a while and it turns out they are actually quite quick to make (less than an hour). So I rustled up a couple this week in between working on the longer projects! Finishing things always makes me happy so I like quick projects. 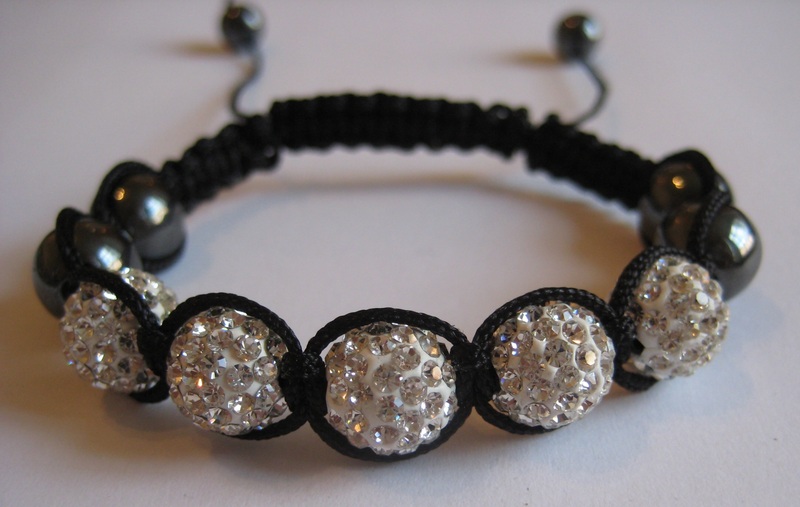 Plus I actually feel quite thrifty as these bracelets are quite expensive to buy right now! Some of the beads are from an old broken bracelet and a few other beads I had saved and are mixed in with the haematite beads which give the bracelets a nice weight. The “discos ball beads” look much more sparkly in real life and I think they are kinda cool although I don’t usually do sparkle. The hardest part was melting the thread ends with a match, it’s very easy to burn your fingers or set fire to the bracelets if you aren’t careful! 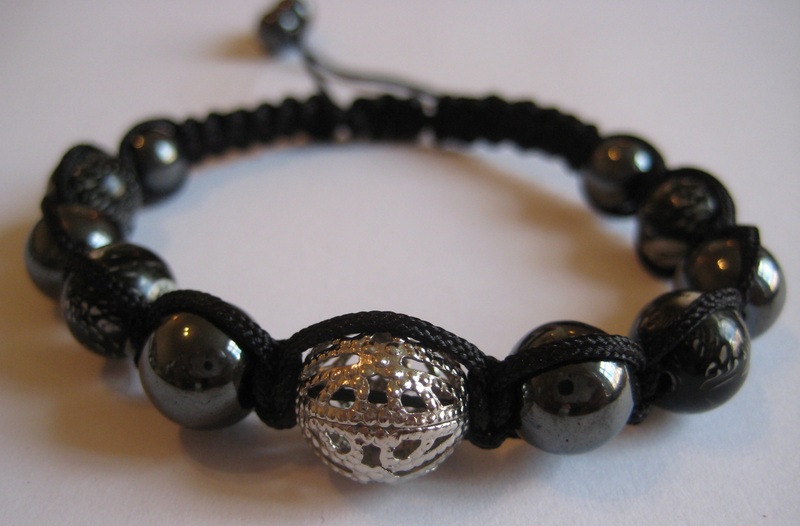 I like it, Awesome Pics… of This bracelets…Where should i buy this?